‘Famous Great Indians’ is a collection of books made to recognize the work and achievements of famous Indian personalities from all walks of life. It states the life and history of Indian’s most famous sons and daughters. It also acknowledges historical and cultural significance of the nation. The aim of designing the series is to basically create awareness about India’s famed culture and achievements among the present generation. ‘Famous Great Indians’ is a collection of various volumes recognizing the fame and glory associated with Indian personalities, history and culture. The series briefly describes the accomplishments and famous incidences of India’s famed heroes, their invaluable works and India’s glorious past and present. The sole purpose of the series is to familiarize the young generation with famous Indians from all walks of life, and to create awareness about the festivals and the architectural wonders that have imprinted India’s name in golden letters in the global scenario. India has been a land of famous and talented personalities who have raised their level to reach the pinnacle in their respective fields. India has produced people of amazing capabilities in form of leaders, poets, writers, scientists, saints, film personalities and sportsmen, who have been highlighted in the series, as it is necessary to acknowledge their contribution time and again. India is also by and large known as the land of festivals, which are no more confined to the boundaries of our nation but are also being celebrated by the different communities around the world. The pomp and show and the historical relevance is described briefly for the convenience of the readers. ‘Famous Great Indians’, taken as a whole, is a great a great pool of knowledge and information, and a tribute to its great citizens and culture, which swells the heart of every Indian with pride. ‘Famous Great Indian Musicians and Dancers’ showcases some of the most melodious and graceful personalities to have graced the land. Who with their sheer dedication and talent have achieved great recognition and glory. 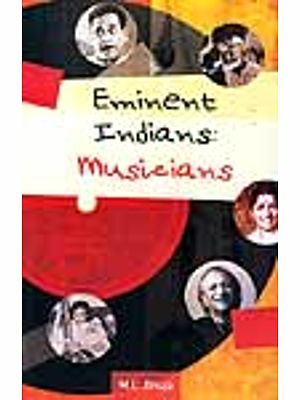 The book cites the eminent achievers in the field of music and dance. India, the land of the performing arts, has seen the rise of many talents in the world of melody, rhythm and harmony. The land of carnatic music, sitar, veena, table, bharatnatyam, odissi, kathak, kuchipudi has had many great exponents of the varied art forms. Many gifted musicians like Ravi Shankar, R.D. Burman, Amir Khusro, A.R. Rahman, Bhupen Hazarika, Hari Prasad Chaurasia, Vishwa Mohan Bhatt, Tansen, Zakir Hussain, Bismillah Khan, Bade Ghulam Ali have composed and given us many beautiful melodies. Singers like Mohammad Rafi, Mukesh, Kishore Kumar, Udit Narayan, Asha Bhonsle, Lata Mangeshkar have lent their melodious voices to many wonderful songs. Dance exponents like Sonal Mansingh, Birju Maharaj, Mallika Sarabhai have taken the Indian dance form beyond the seven seas and popularised them. Overall, ‘Famous Great Indian Musicians and Dancers’ is a collection of people who are the pride of India, and who have made exceptional contributions to the propagation and growth of Indian performing arts.